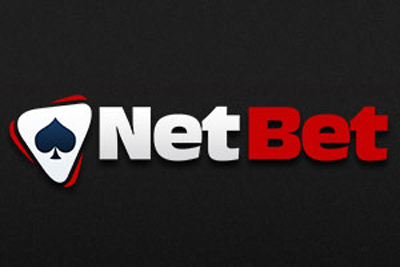 Each member of NetBet is entitled of new bets. Moreover, this sports betting website doesnt neglect their choice by proposing a range of programs adapted to everyones taste. For this December 18th, the leader of online betting invites fanatics of volleyball to test their skills of forecasters, during the matches of the Champions League of Mens Volleyball. The key meeting will be the one which is going to oppose Paris Volley to Asseco Resovia. This match will close the evening as it starts at 08:30 p.m. and it seems to be particularly animated because it will be played by both leaders of the Group C. The French and Polish stars will fight to conquer the first place. As a reminder, the Polish team dominated Paris Volley during the last match of October 24th, 2013. However, nothing is still acquired and the French team will still be able to try to realize the achievement expected by the public. Bettors have a huge challenge to take up, because guessing the winner of this match is not easy. The match Zenit Kazan/Lube Macerata which is going to start at 04:00 p.m. could also amaze NetBets spectators and bettors. It will be a battle between two leaders of the Group E and those teams have already proved their power and their performance throughout the competition. Olympiakos Pirée /DHL Ostrava, Tomis Constanta/Hypo Innsburck, Galatasaray/Kedzierzyn-Kozie, Ceske Budejovice/Budvanska Budva, Jastrzebski/Halkbank Ankara, Friedrichshafen/Roeselare, Arkas Izmir/Lugano, SCC berlin/Trentino Volley, SK Posojilnica Aich/Dob/Lokomotiv, ACH Bled/CE Piacenza, Tours/Marek Union Ivkoni and Noliko Masseik/Belgorod are also among the meetings planned for this day. This page has been viewed 464 times.